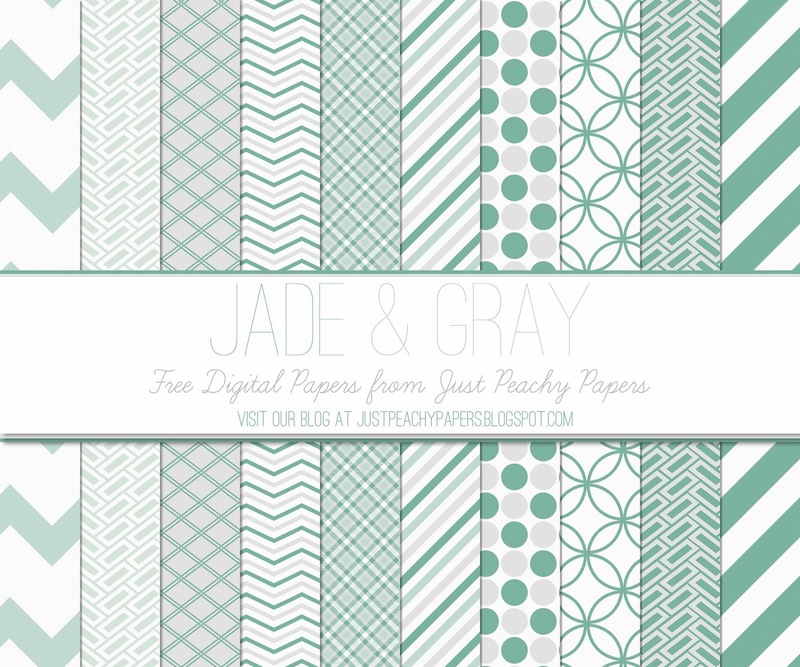 Here's a set of 12x12 inch digital papers featuring chevrons, dots and other simple patterns in jade and gray. This is such a sophisticated color pairing that is popular for weddings and home decor. I hope you like it as much as I do! Just click the above image to download. Feel free to use these papers for any scrapbooking, crafting and digital design projects. You can also use them commercially, just please provide credit to Just Peachy Designs and include a link back to this website. Sorry about that! It's working now, though. Thanks for letting me know! Thank you! I can hardly wait to get started!